St John Fisher School was recognised earlier this month by having two finalists in the prestigious Herts Ad School Awards 2016. Mrs Flitton was finalist for Innovation. This year there were over two hundred nominations for the awards, from across the district. 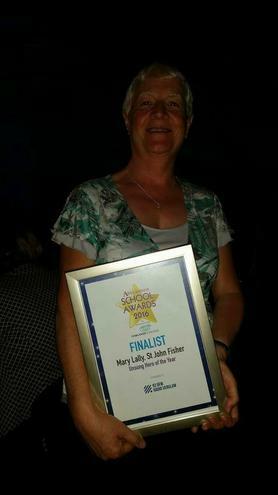 To have both of our nominees reach the final is fantastic recognition of all the hard work that Mrs Lally and Mrs Flitton put into making St John Fisher such a wonderful place to be. Although neither won their category they were both honoured to be nominated and indeed reach the final. Congratulations from us all and Thank you, you will always be our winners.